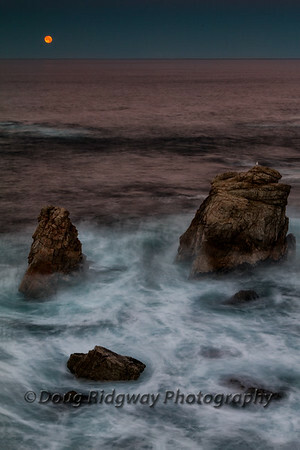 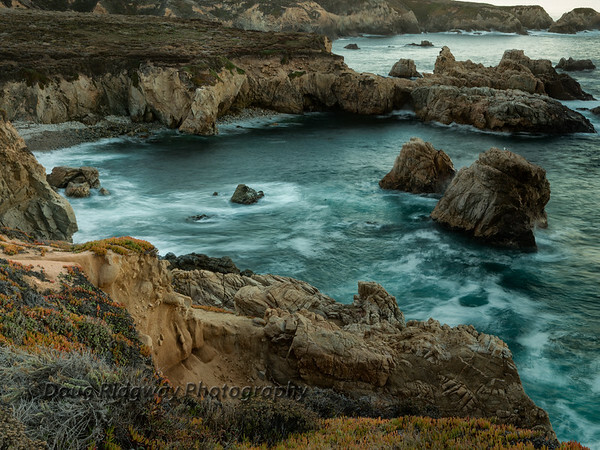 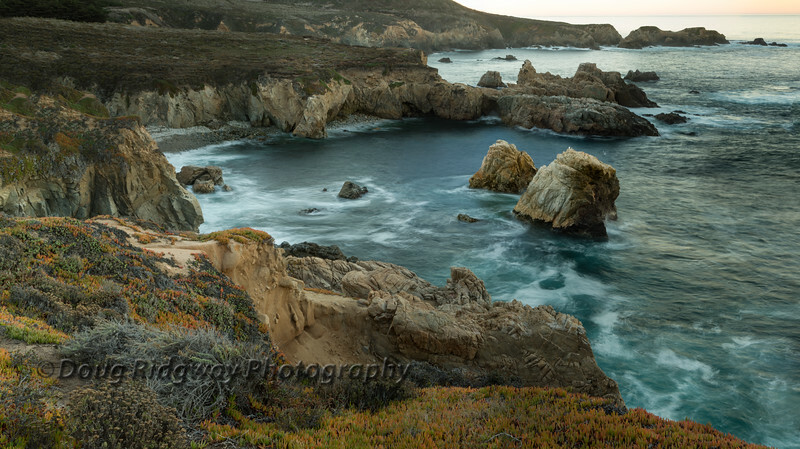 Images of the Big Sur Area of the California coast. 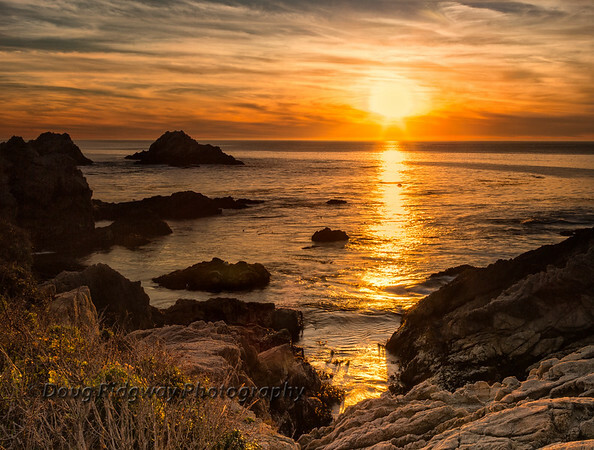 For a few weeks in January, the the sun sets putting a golden ray through the arch on Pfiffer Beach. 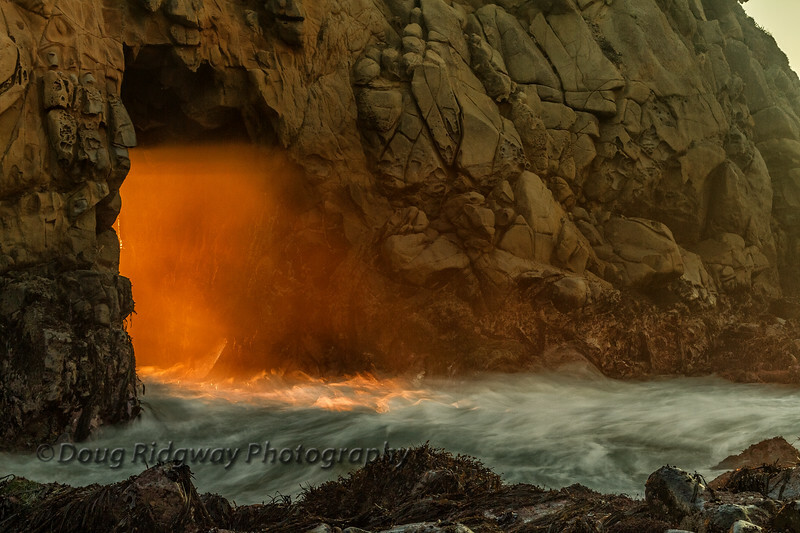 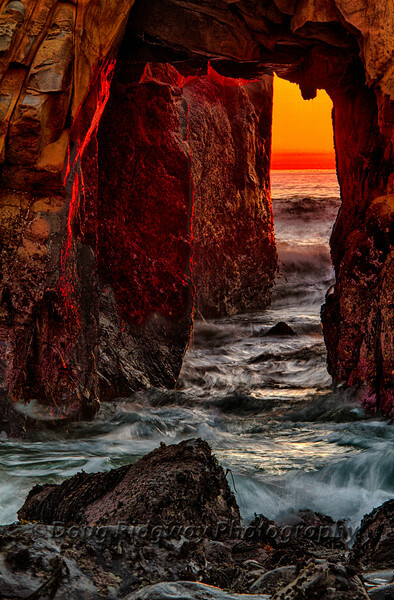 For a few weeks in January, the the sun sets putting a golden ray through the arch on Pfeiffer Beach. 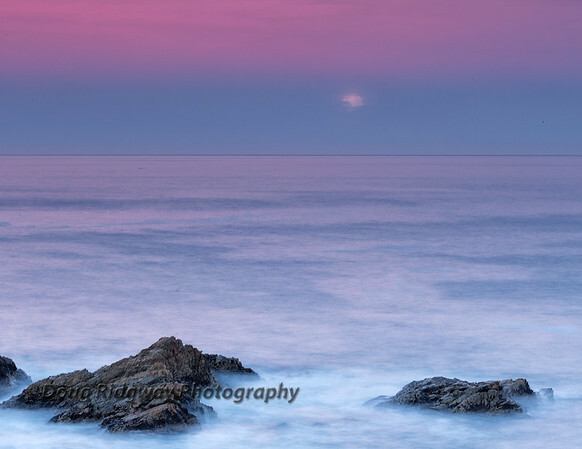 Moon setting at Garrapata State Park just prior to sunrise. 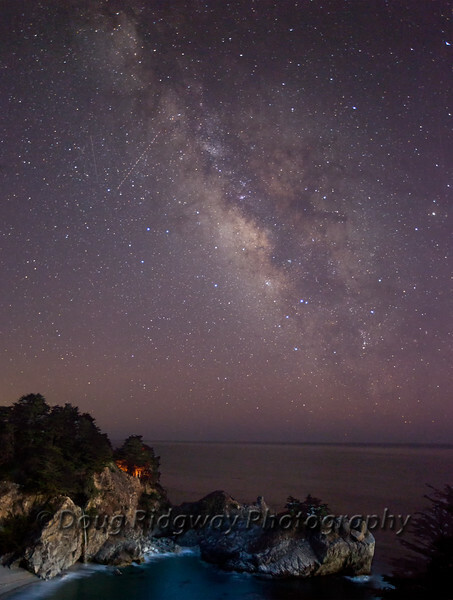 This is the Milky Way photographed over McWay Falls, in the Julia Pfeiffer Burns State Park, Big Sur, CA.